The first Edition without Box was published in 1972. DOMINIK STEIGER, "a la recherche de l´argent perdu"
A bond with a coupon from 100 RM from 1938 with a sticker painted by the artist. 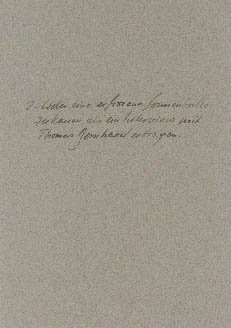 DOMINIK STEIGER, "a recherche l`argend perdu"
A promissory note of 100 RM from 1938 with a handwritten text. 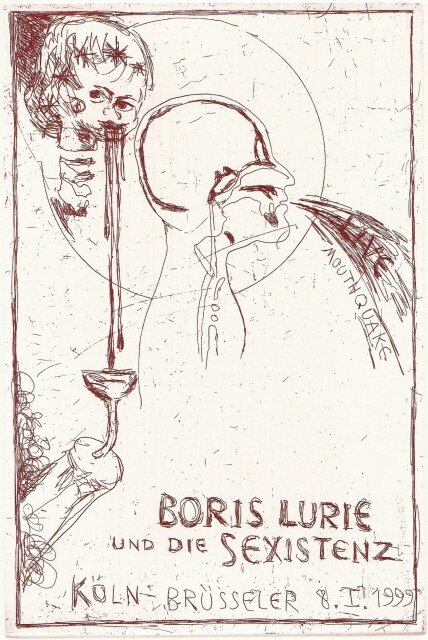 An envelope with a 100-DM-note from 1920 and a handwritten text. 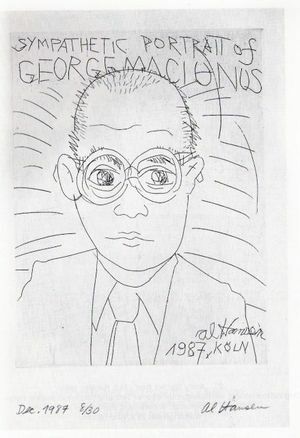 AL HANSEN, "Sympatic Portrait of George Maciunas"
Edition of 30 copies, an etching, signed, dated and numbered. 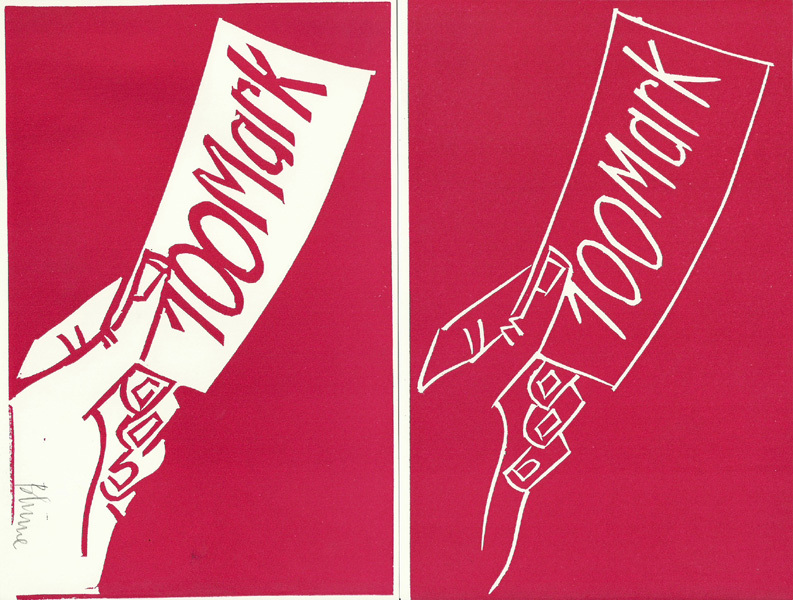 40 pages with a foreword by Hubert Klocker and 32 illustrations with four color illustrations. 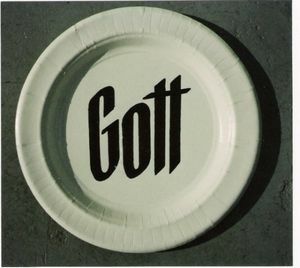 A black print on a white cardboard plate, signed, dated, numbered and stamped. 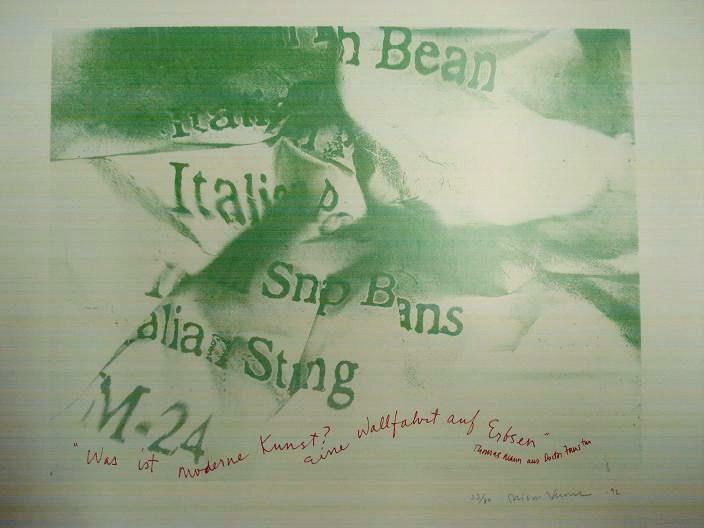 ALISON KNOWLES, "Was ist moderne Kunst"
BERNH. JOH. 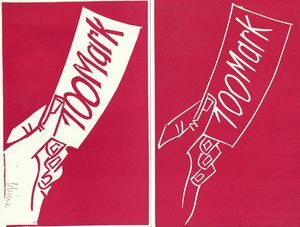 BLUME, "100 Mark"
Two linol prints on cardboard. 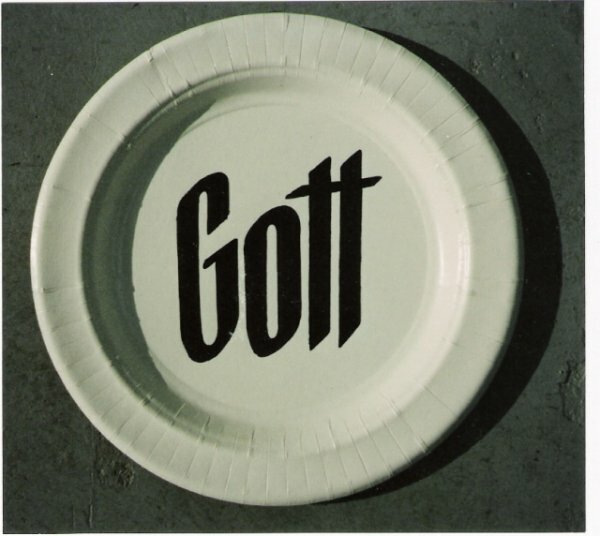 A collage, black and white and a cardboard. 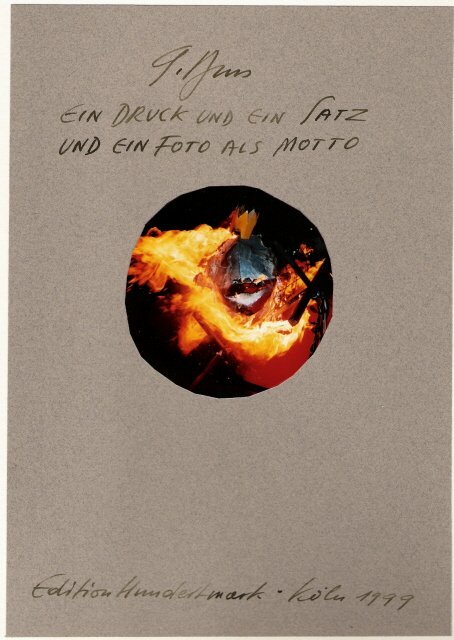 GÜNTER BRUS, "Ein Druck und ein Satz und ein Foto als Motto"
An eching with handwritten folder, photo and a handwritten text.